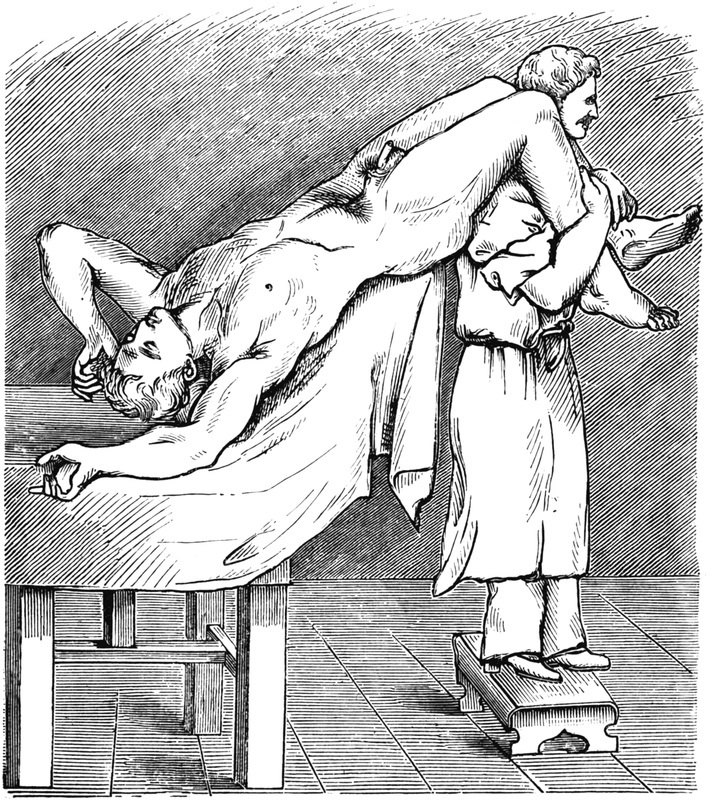 During the early part of the 20th century American physiologist Walter Cannon suggested the head down-legs up position pioneered by German surgeon Friedrich Trendelenburg could, in theory, displace blood from the lower extremities during hemorrhagic shock to enhance venous return to central circulation. The original Trendelenburg position was intended to permit an improved field of vision during abdominal surgery by displacing its contents cephalad and was never designed for blood pressure changes. The 2010 American Heart Association First Aid guidelines clearly states all recommendations on the use of Trendelenburg position are extrapolated from volume expansion studies and there is no direct evidence to its benefit in shock. Currently, the AHA guidelines recommend keeping patients supine rather than having their legs elevated. Margo Halm completed an excellent review of the studies that have been completed on the Trendelenburg position and published the review in a 2012 American Journal of Critical Care. Just over 20 studies have been completed. Raising a patient’s legs in hemorrhagic shock effectively returns only 1.4% of the blood volume to central circulation, resulting in a mild transient cardiac output increase lasting anywhere from 1–5 minutes. Note, this increase is in cardiac output; the effect on blood pressure is negligible. Further, she found several studies demonstrated Trendelenburg position actually decreased cerebral blood flow, oxygen saturations, upper extremity blood flow and the lungs’ functional reserve capacity. Raising the patient’s legs and pelvis can cause the abdominal contents to shift and increase pressure against the diaphragm and the inferior vena cava, limiting the lungs’ ability to expand and placing increased pressure on baroreceptors within the vena cava. By compressing the baroreceptors the body actually can be fooled into thinking the blood volume is higher and as a result depress the body’s compensatory efforts. The evidence demonstrates that not only does the Trendelenburg position not help patients experiencing hemorrhagic shock, but it can actually be harmful because of effects on both ventilatory and circulatory systems.